Dress to Impress with Foresto Tuxedo Rental Specials. Thank you so much for all your time and guidance while picking out the perfect wedding day attire. Our groomsmen loved the Michael Kors Tuxedos and they all photographed lovely! Nick’s changed into the white dinner jacket was a complete show stopper when we were announced into the reception! 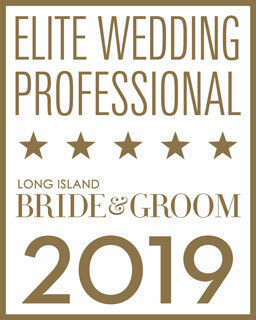 As always we will continue to refer grooms-to-be to you! Dominick and his staff were fantastic! They are easy to work with and helped us with ALL our details. Their selection of tuxedos is Second to None! Service and Selection were terrific! As well as their prices!! Our wedding party rented their tuxedos at Foresto’s. Joe and everyone that works there were very accommodating and helpful making our experience an excellent one! I highly recommend Foresto you won’t be disappointed! Foresto did a great job with our wedding tuxedos. They provided great suggestions and we were very happy with the everyone’s look and the service received! Foresto is the place to go for all your tuxedo needs. The staff is friendly, helpful and they make sure you are well taken care of. They make sure everything fits perfectly and you look your best. We were very pleased and recommend them! Dominick and his staff are very attentive, they spent time with everyone and made sure everything fit perfectly. They have a huge selections of tuxedos. They even had a matching tie that complimented the bridesmaids dresses. I recommend them to everyone! This place was amazing! We had a groomsmen from out of state, yet everything was easy. The customer service was perfect they showed us a ton of different options and we tried everything on before making any decisions. Our bridal party looked amazing – everyone was talking about them! Outstanding quality and service. Prices were very reasonable. My groomsmen were all sizes and shapes and the tuxedos look tremendous. They were high quality and fit all the men perfectly. Their customer service was outstanding, they were flexible and worked with all the requests from my party. Without a doubt would use their services again and recommend them! Dominick was amazing in helping us find the right tux for the dads, groomsmen and groom. I was more than satisfied. Everyone looked amazing! I couldn’t be happier. I’ve rented a few tuxedos over the years from Foresto Tuxedo and each time I was met with impeccable service and looked sharp too! When it came time for my own wedding, it was a no-brainer on where my groomsmen and I were going to get our tuxedo – Foresto. These guys go above and beyond the call of duty! You can’t find that kind of personal touch anywhere else. If you’re thinking about Foresto – do it already! They’re that good and you won’t be disappointed! My husband and his groomsmen were incredibly satisfied with Foresto. Everyone there was easy to work with, knowledgeable, and gave great insight. We went in having an idea of what we wanted. Had the consultant not given us his feedback, I don’t think we would have ended up as happy as we were with the tuxes – both in terms of style and color. The groomsmen ranged in size from 5’7” to 6’5” and all were incredibly happy with their fit. I can’t stress enough how great everyone looked! We are so pleased that we chose them for our Special Day! Go with Foresto! The best customer service and great selection. Very accommodating and friendly. They took great care if our group like family, and we’ve already come back to use their services again! We used Foresto for our wedding on July 28,2018. They were great! Everyone who works at Foresto is so knowledgeable and helpful. Our tuxedos looked so sharp and the groomsmen were really happy with what we picked. It is evident that the guys over at Foresto really take pride in what they do, and I would highly recommend then for your wedding! My husband looked incredible in his navy tuxedo from Foresto and we couldn’t have been happier. All of the men there were so nice to us and extremely helpful. I tagged along at the original fitting and they truly included me and made us feel welcome. May Dad got his wedding tuxedo there 41 years ago…Wonderful choice! We couldn’t speak more highly about our experience at Foresto Tuxedo. The team is friendly, knowledgeable and fun. They made it simple and easy for the guests in our wedding that were very young, to not so young, local to distant. Thank you for a stylish and amazing experience! Dominick and the staff were amazing to work with this past June. Between helping me pick out the perfect tuxedo to match my wife’s and her bridesmaids’ dresses to the incredible service during the busiest time of the year! I cannot recommend Foresto Tuxedo enough. Thank you so much for making my special day so beautiful! Foresto was amazing they made sure my groomsmen and I looked great for the wedding. They are very professional and provide excellent service. The tuxedos are top products you can definitely tell the difference between what they offer and other stores. After trying other stores and being disappointed I tried Foresto and knew I wanted to choose them! The staff at Foresto were so pleasant to work with. They were incredibly organized and detailed-oriented through the whole process. They really went above and beyond to make sure that everyone in the bridal party were fitted perfectly and looked amazing. And of top of it, the quality of their tuxedos is incredible. I recommend Foresto to all my guys who have weddings coming up! Thank you! We are so glad we chose Foresto Tuxedo for our wedding! From the moment we went in to fit my husband for his wedding tux, we knew they would be exceptional to work with. They were amazing in coordinating with our groomsmen and accommodating all of the out of towners. We were so thrilled with the look and highly recommend Foresto for your next event! Hank was very helpful and accommodating. He took his time and was very patient to show us all of our possible options, gave us his professional opinion, and answered all of our questions. He really made us feel very comfortable and not rushed at all. We will definitely be referring others to Foresto’s! Groom and groomsmen loved their tuxes and looked phenomenal! Fathers as well, amazing job! Thank you so much for fitting Tim, our dads and groomsmen with such beautiful tuxes for our December wedding! They all looked so handsome. Thank you for such wonderful, personal customer service & great prices. We truly appreciate it! Foresto is the gold standard for rental menswear on Long Island! Joseph did a great job guiding me through their extensive selection of tuxedos. Fit and style was excellent. They worked with other shops to measure my out-of-town groomsmen and they had a tailor on-site when we picked up for any last minute adjustments! Don’t think twice! Go here! They were perfect!!! They took care of the bridal party without any issues! I tell everyone to use them. It’s nice to see a family run business still around that has such amazing customer service and care for each person that walks in. Thank you for making our wedding day perfect! Foresto is Five Star Plus! Going to Foresto was the best move we could have made, Dominick is a true expert in his field. He assured me we were in good hands but we were in the best hands. All 12 of my groomsmen raved about the fit and look of their tuxes! Even our guests asked where we got our tuxes. This is why this place is rated 5 Star. Thank you and we cannot wait to come back for future events! Thank you to the entire Foresto team for a wonderful tuxedo experience. They fit each and every guy perfectly and they looked fabulous in all our pictures! Dominick and Joseph were so helpful and awesome!! They helped our guys in every way! They were very accommodating and very personable! The guys at Foresto Tuxedo are true professionals and experts in their craft. The guys made the fitting session a lot of fun and we felt like we were just hanging out with the boys! For the final fitting (day before the wedding) they kept the tailor late to accommodate some of my groomsmen who got delayed in travel…like I said true professionals. Thanks for making us look great on my big day! Prices were reasonable and I will definitely use them again for my next formal event! The tuxes for my husband, groomsmen, and fathers were amazing! The quality was impeccable and the service was outstanding. I would highly recommend them for any important occasion! After being in several weddings where I had to rent from a big box retailer, Forestos was a breath of fresh air. The tuxedos were immaculate and fit each groomsmen perfectly. Overall it was 5 star service and to go any where else you are doing yourself a disservice. On August 24th I had my last fitting before my September 4th Wedding. I was greeted by Dominick right away. While I tried on my tuxedo, it was the first time I got emotional during this entire Wedding Experience. I’m on the husky size and wanted to look my best. Dominick made it his business to make sure I was in good hands. He said, “Let Me Work My Magic”. Dominick shows he cares about his customers and with his experience he made me feel Great! Thanks to Dominick and his staff for a Great and Wonderful Experience, for their Compassion and Professionalism. I highly recommend them… don’t go anywhere else. Dominick you’re the Best!!! Working with Foresto for our July wedding was easy. They had a great selection of tuxedos and they took a lot of time with my husband. The team is so professional and will not stop working until everything is fitted perfectly! I highly recommend Foresto to everyone! We cannot say enough great things about Foresto Tuxedo! Dominick was amazing! With little notice and with an out of town wedding party, he was able to help out all of the groomsmen! We loved the quality of the tuxedos and how easy Dominick made the whole process. I highly recommend them! They were so knowledgeable and accommodating! Highly recommend! They went above and beyond for us we truly felt like they cared about making our wedding day perfect! They even customized a tuxedo for our one year old. Thank you so much for making our guys look awesome! We used Foresto Tuxedo for our July 2016 wedding. About a year before the wedding were looking for a new style tux that would be coming out in a few months. I left my name and number with them and sure enough Dominick called to let us know that it was available. All of our guys looked amazing! Thank you Dominick! I have known Dominick for over 25 years. He provided the tuxedos for my wedding, but also for my sister’s wedding. Working with him made the wedding planning so much smoother. His eye for style and the selections he offers are second to none! Even though one of our groomsmen lived out of the state, he took care of everything. You would be hard pressed to find anyone who could match the service you get working with Dominick. I HIGHLY recommend Foresto Tuxedo. I knew I wanted to go somewhere where they treat their clients as family. From the beginning, the owner Dominick was so friendly and made everything such a pain free process. His group of guys always had a smile on their face and always gave suggestions on how to look 100%. Dominick was able to get all my groomsmen, father, kids and myself look amazing for my wedding day. 5 Star Service! Thank you so much for the very handsome tuxedos. The groomsmen and my husband were raving how comfortable they were and they looked extraordinary! Your service was so professional and helpful especially when it came to choosing the right tuxedo! I appreciate everything and you will definitely see my husband in the future! Thank you for providing not only fine tuxedos for my groomsmen, but the tailoring of my suite and the fixings. Thank you for your professional attitude and service. I will confidently recommend you to my friends. Thank you for making our groomsmen look sharp! The photographers all commented how sharp the slate blue tuxes looked. We couldn’t have been happier with the results! Thanks so much for your hard work…all the guys looked handsome. Thank you for being a part of our special day! Thank you for providing great tuxedos and service for our wedding! Thank you so much with your help coordinating and loaning our senior class boys your Foresto Tuxedos. They looked amazing walking the runway at our fashion show fundraiser. Thank you for supporting our cause! Thank You for making all the groomsmen look as good as they did! You guys are the best! We can’t thank you enough! All the guys looked great on our Wedding Day thanks to your skill and expertise. Thanks for everything! Thank You for making my groom look his best! Your patience and professionalism were wonderful! Our groomsmen and jr. all looked so handsome. Your service is truly top of the line! I can’t wait to share our pictures of the guys on all of the wedding websites! Thank You so much for helping us with such as great experience. We appreciate your kindness, patience and professionalism. Our guys looked great in their tuxedos! 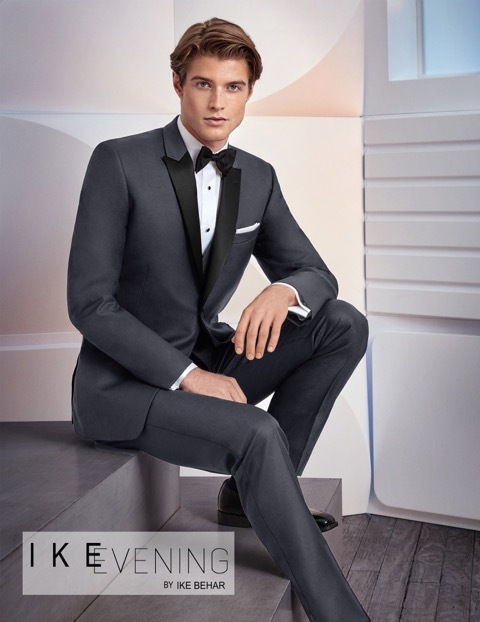 Amazing, I have used Foresto Tuxedos multiple times in the past and they never disappoint me. Everyone in the wedding party commented on how great the service and tuxedos were! From the moment I stepped into Foresto Tuxedo I knew there was no other option for our wedding Tuxedos. The place has a great family feel to it and the gentlemen are so helpful. They catered to the fact 2 members of the grooms party were international and unable to come in for fittings. I had a certain look in mind and they managed to provide me that exact look. The quality of the available tuxedos is fantastic and they provide absolutely everything as part of the rental. When I provided a color swatch of the bridesmaid dresses they gave me an exact match for the groomsmen red ties! You were all amazing and you are the only place I will consider when needing to rent suits or tuxedos in the future. As the first of our friends to get married we are telling them for the future that they must come to Foresto. Thank you! As an event planner suggesting vendors to clients, you really appreciate working with experienced, passionate vendors. I use Forestos often. 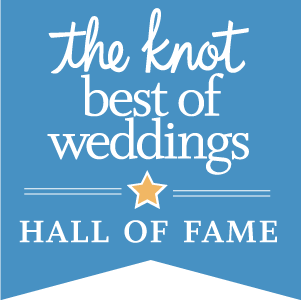 I am always confident Dominick and his staff will take great care of the groom, bridal party and fathers and make sure they will look pristine for their big day! They are fabulous to work with and have such high quality tuxedos. 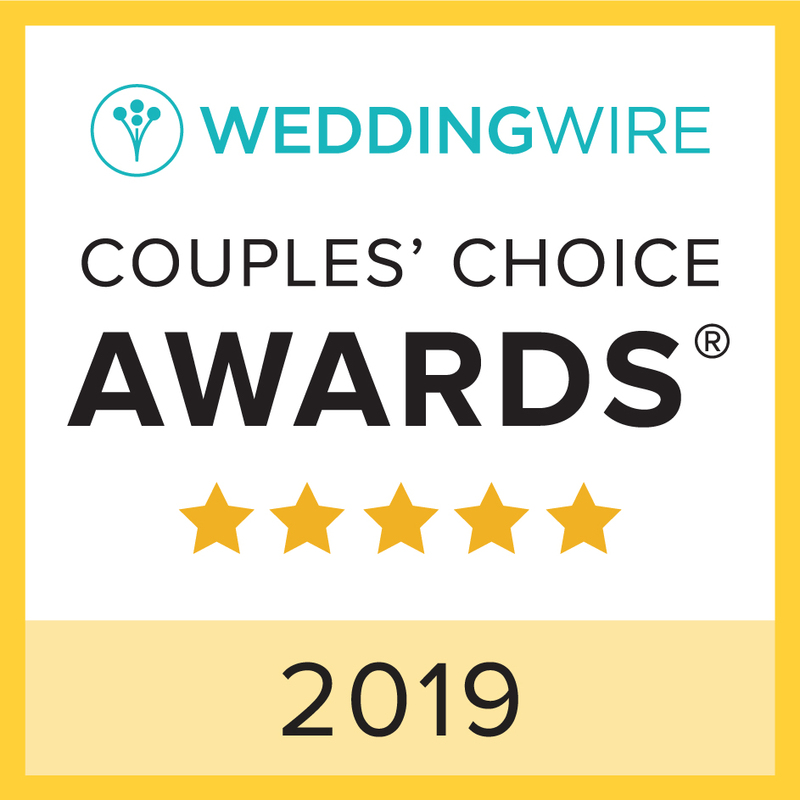 My husband was not very involved with our wedding planning and liked that Dominick made the experience “quick and painless.” Our guys looked great and it was a hassle-free experience. If you want to be treated like a vauled member of the family, Foresto is the place to go for all of your wedding suit/tuxedo needs. The entire staff is friendly and accommodating and are easy to work with on every detail of your event. I have used them twice and know that anytime in the future this is the ONLY place that I will consider. I had family coming in from Belgium and Pennsylvania that required tuxedos and Dominick told me not to worry that we couldn’t fit them until a few days before our wedding. Everything went flawlessly. When the men tried on the tuxedos for pick up they were perfect. Our wedding had a number of wedding party guests from outside the US. We attempted to locate a facility that would deal with late arrival measurements and alterations. Foresto went above and beyond in helping our family get outfitted with those that were here in New York and then when our International guests arrived. You simply cannot beat their price/quality ratio. I recommend Forestos highly. I had lots of guys and lots of little boys and they all needed to look sharp. The gentlemen at Foresto helped get everything in order. They made style suggestions and were very patient with us as we went back and forth between several options. They even went above and beyond. I would highly recommend Forestos they offer the type of service you don’t see very often today – totally full service and gracious. Can’t say enough good things! I have been in 10 weddings. Foresto Tuxedo, hands down is the best vendor I have dealt with. My wedding party rented 14 tuxes. Foresto Tuxedo had all the tuxes ready on time, as promised with no issues. Some groomsmen needed alterations due to weight change and they were all addressed the day before the wedding. Great vendor, great people. Thanks Foresto. Thank you so much for all your help and expertise. All the guys looked great! We love you… as you already know you and your team are the best… P.S. Thank you for making my groom look his best! Your patience & professionalism were wonderful! Thank you so much for making our day beautiful. All the groomsmen looked handsome & sharp! We appreciate all of your help & attention to detail. Thanks again for making sure we would have a perfect day! Thank you so much for the very fashionable tuxedos! Pictures came out fantastic and only because of the fabulous work at your business! We truly cannot thank you enough for taking the time to fit both of our 93-year-old grandfathers in their attire for our special day. You made them feel comfortable, happy and catered to their needs. Our experience at Foresto was exceptional. We could not have asked for anyone better and will continue to recommend you guys for tuxedo rentals to others. Thank you for great service and great products. We constantly recommend you to all of our family and friends. We can’t thank you enough for your amazing service to our bridal party – especially with the unexpected blizzard the day before our wedding! We’re so grateful you called us early before the snow and made sure all of our men were perfectly fitted & happy! They all looked so handsome thanks to you! You’re the best! Thank you for outfitting our bridal party so perfectly on our wedding day, just as you did 30 years ago for our father and mother at their wedding. You made the process so problem free and helped keep the stress out of our wedding planning. Thank you for working with us and making my husband and all the men look stunning on our wedding day. My husband and his groomsmen loved their tuxs and the people working there. They have a great selection and their prices are very reasonable! My now husband used Foresto and he had nothing but positive things to say. All of the groomsman looked great and their suits fit well. Everyone at Foresto’s is knowledgeable and they were able to guide us in the perfect direction for our wedding. I would highly recommend Foresto to anyone looking for suit rentals. This place is just amazing!!! We had quite a lot of issues with our wedding party and Joseph and Dominick helped us get through it all with a lot of patience. My husband and his groomsmen looked just perfect! These guys rocked and so do their tuxes. The guys looked flawless and they felt like a million bucks the day of our wedding. Will definitely recommend them. They didn’t disappoint and definitely worth every penny. Will use them again in the future! The staff at Foresto were accommodating and helpful, and my husband and his groomsman looked PERFECT on our wedding day! The tuxedos were in perfect condition and fit each person like a glove. We highly recommend going here for any event — they are top notch! The guys looked extremely dapper and handsome on the day of our wedding. The ease of ordering the tuxedos, even for those out of state, was a big plus for us. We would greatly recommend Foresto! I definitely recommend Foresto. They are amazing! We worked with Dominick, and he was great. He remembered everything we spoke about, every time we walked in the store. We had all different size guys, and a lot of out-of-town groomsmen and ring bearers. Dominick reassured us that everything would work out and he would do any final alterations upon pickup. My husband and his groomsmen loved their tuxes and they all looked great! Everyone working there was very helpful and this is definitely top-notch service. You truly get what you pay for…. high quality tuxes and exceptional service! Foresto’s Tuxedo is a hidden gem. The store is beautiful and has a cozy feel. The staff is friendly, patient, and accommodating. Their prices are better than most of the other tuxedo shops I looked into. I was somewhat skeptical b/c I found them online and not used to going with online referrals but I’m so happy I did! Very grateful. I would highly recommend Foresto Tuxedos to anyone. Totally professional, easy to work with and willing to go the extra mile. The day of my wedding a guest who had driven for 3 hours to attend realized he left his suit behind. I called up Dominick and in 45 minutes my guest had a suit and loved it. Said it was nicer than the one he owned. Now that is what I call customer service. My finance used Foresto for our wedding & they were absolutely great! Foresto was accommodating throughout. Service couldn’t have been better. Would definitely recommend if you want top-notch service & high-quality suits! We had a fantastic experience with Foresto for our wedding this past October. The tuxes were beautiful and I would definitely recommend them! My experience with Foresto was exceptional! Joe and his team were amazing, they made us feel welcomed and comfortable. We are very happy with their service! How exciting you recently got engaged and now the planning begins! Foresto Tuxedo has been Long Islands Leading Tuxedo Rental Specialist for over 79 years! We are excited to introduce the Michael Kors “Barrow” and the Kenneth Cole “Desire” two new looks for 2019! Copyright © 2019 Foresto Tuxedo.